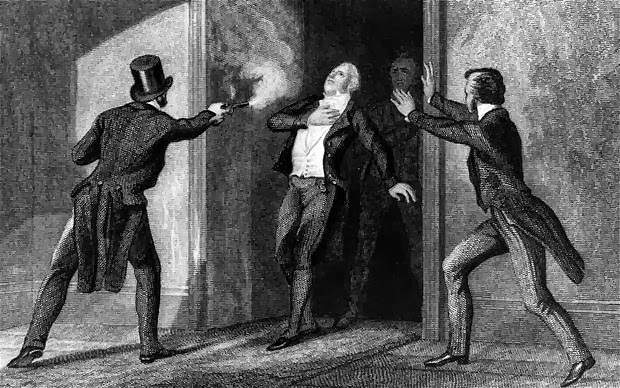 British Prime Minister Spencer Perceval was shot dead in the House of Commons lobby on May 11, 1812. Two hundred years later, his murder remains the only assassination of a British prime minister in history. 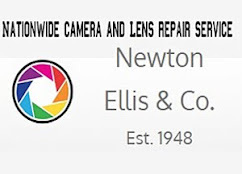 John Bellingham was a Liverpool businessman, his early life is largely unknown, he was born in St Neots, Huntingdonshire, in the late 1790s, and about 1800 he went to Arkhangelsk, Russia as an agent for importers and exporters. 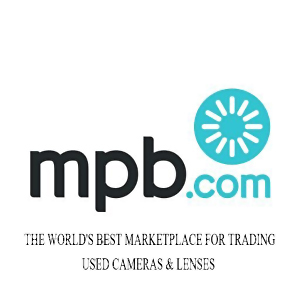 He returned to England in 1802, and was a merchant broker in Liverpool. 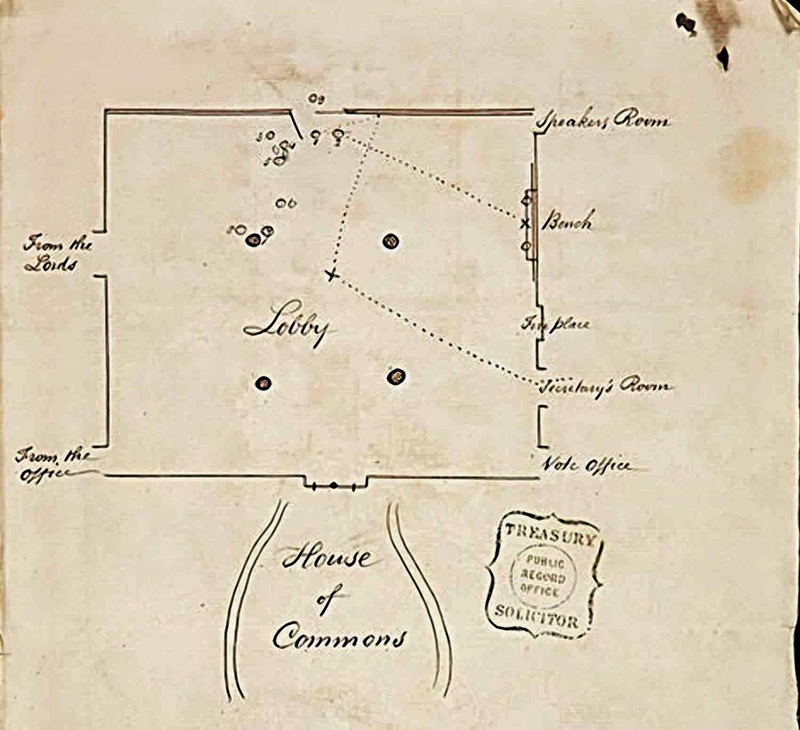 Bellingham entered the House of Commons lobby around 5 p.m. on May 11, 1812, he sat down on the bench next to the fireplace. John Bellingham had been arrested in Russia on charges of insurance fraud in 1804, and he spent more than five years festering in rat-infested jails, surviving at times on just bread and water. His appeals to the British ambassador and the foreign office were ignored, however, Russian authorities eventually dropped the charges. Bellingham returned to his family in Liverpool, he was now bankrupt and a broken man. He continued to lobby the British government for financial compensation for his suffering and the loss of his business, but his letters went unanswered, he travelled to London in January 1812 to personally petition his case. 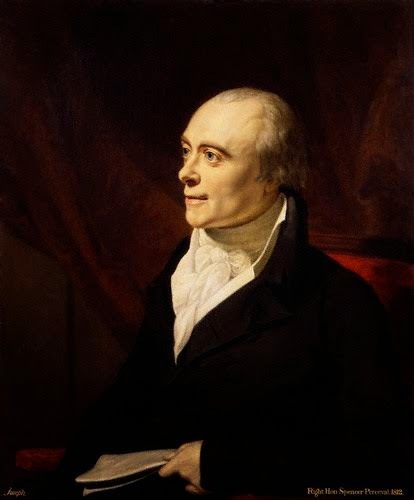 Bellingham sat in the House of Commons, angry in his belief that the British government had denied him justice, he focused his rage on Spencer Perceval. At about 5:15 p.m. Bellingham saw the Tory Prime Minister Spencer Perceval, cross into the lobby. Without saying a word, he walked toward the prime minister, pulled one of the two duelling pistols he had concealed in his overcoat and pumped a shot directly into the chest of the leader of the world’s most powerful country. The large lead ball instantly pierced the prime minister’s heart. Perceval put his hand to his chest and, according to eyewitness accounts, gasped “I am murdered!” before falling to the ground. The politician was carried to a nearby room, his white waistcoat scarlet, he, was propped up in a sitting position on a table. Minutes later, a surgeon arrived and pronounced the prime minister dead. Bellingham, did not attempt to escape after firing the fatal shot. Instead, he simply returned to his seat with the smoking gun literally still in his right hand. He offered no resistance and was taken into custody and placed in a prison cell inside Parliament. The jury, took less than 15 minutes to render its verdict: guilty. Bellingham was once again thrown in a prison cell, existing on bread and water. This time, however, not for long. 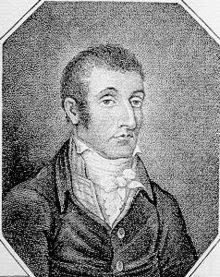 On May 18, 1812, just a week after the sensational murder, Bellingham hanged from the gallows the executioner was William Brunskill. 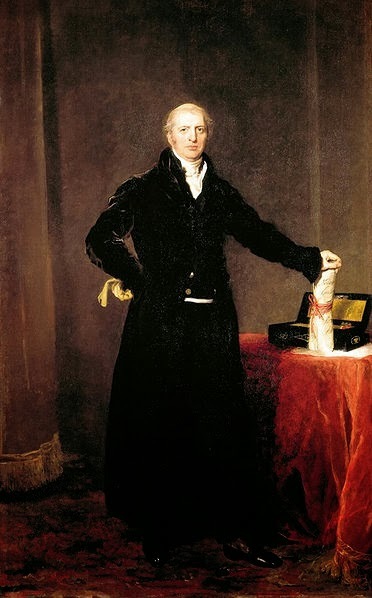 Robert Banks Jenkinson, earl of Liverpool, soon became prime minister, and the stability of his 15-year rule stood in contrast to the rocky tenure of his predecessor. Perceval faded into obscurity, and while he ranks high among Britain’s forgotten prime ministers, he may always be remembered for his violent end. Percival was succeeded byRobert Banks Jenkinson, 2nd Earl of Liverpool KG PC (7 June 1770 – 4 December 1828) he was a British politician and the longest-serving Prime Minister of the United Kingdom. He was 42 years old when he became premier in 1812, which made him younger than all of his successors. As Prime Minister, Liverpool became known for repressive measures introduced to maintain order; but he also steered the country through the period of radicalism and unrest that followed the Napoleonic Wars.